Yukari is a spirited high school senior in the process of studying for her college entrance exams. Sadly the prospect of subjecting herself to a meaningless dull life leaves her feeling depressed about the future. In a bout of frustration, Yukari begins to ignore her courses and she begins to hang out with a group of fashion design students. But what Yukari doesn’t know is that this circle is known as Paradise Kiss, and they are run by a pair of young designers already making their mark on the Asian scene. Furthermore, while her life is going to soon change, it will not be due to the elite political or commerce based future her family may have hoped for, instead her life may eventually be set in a world of high fashion, with her strutting down the catwalk as the face of Asian fashion! 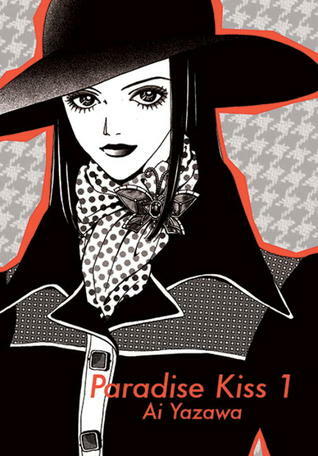 How lovely to see Paradise Kiss back in print after so long! This series, Peach Girl, and Marmalade Boy are directly responsible for my love of graphic novels. During the hey-day of the US manga craze, there were so many wonderful books being released that it was hard to keep up with them all. There was also a lot of garbage hitting store shelves, in such an overwhelming wave, that buyers couldn’t keep up. Then the recession hit, and it was bye-bye to several of my favorite publishers. CMX’s demise hit me the hardest, because DC’s imprint had licensed some unique titles, and many of the series that I followed were being released by them. When Tokyopop shuttered, I actually became so discouraged with comics that I started reading prose books again. Am I bitter that I will never see the end of I Hate You More Than Anyone or Kamui? Am I upset that Silver Diamond and Demon Sacred were never competed? You betcha! That’s one reason why I was so happy to see ParaKiss back in print with a new publisher. 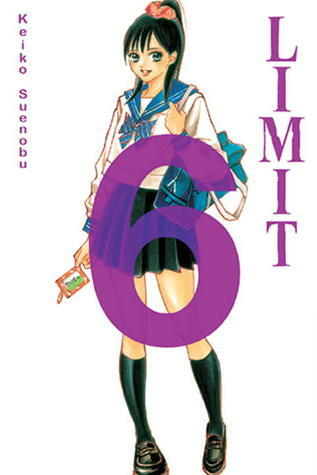 This is a timeless story of a high school girl’s coming of age, with fun characters and gorgeous illustrations. It deserves to stay in print, and since it’s been ten years since it was last published, there is a brand new audience out there just waiting to discover it. One thing that I love about Ai Yazawa’s storytelling style is how she sprinkles humor into her plot when events get emotionally intense. There is so much drama, drama, drama, which I love, and then all of a sudden there is this marvelous little blast of humor – either a joke from one of the characters or a humorous visual to ease all of that tension, just a little bit. It is more evident in NANA (speaking of which, what happened to NANA? ), but there are small glimpses in this first installment of Ai Yazawa’s classic romance. I enjoy the contrast to the heart-stopping tension, and look forward to seeing how she’ll maneuver her characters from emotional trauma to eliciting an chuckle from the reader. In ParaKiss, Yukari is a high school senior with a lot of her mind. She is cramming for her college entrance exams, and she doesn’t have time to get involved with a bunch of weirdos from the local fashion school. Once she meets charismatic George and is caught under petite Miwako’s charm, she has no choice but to model for their fashion show. There is so much change in Yukari from the opening chapter, where she is risk adverse and single-mindedly intent on her studies, to the end of this volume, where she is fabricating lies for her parents so she can spend more time with her new friends in their basement studio. She is finally starting to assert herself, and to reject her mother’s stranglehold over her. Finally, there is something that she cares enough about to fight against the carefully planned path her parents have laid out before her. Is it in her best interests to get caught up in the lives of these creative and impulsive people? Probably not, but the rush of being with them is intoxicating, and she’s not willing to let it go. George is so far over her head that I worry for Yukari. He is jaded and worldly, while she’s lived a very sheltered life. No friends, no boyfriends, few connections outside of her family. George is like a blazing torch, and she is drawn, against her will, to his brilliance. As I read the book this time around, I sympathized more with her confusion over her feelings for George. She’s not accustomed to expressing her feelings or hanging out with a guy, and everything that George does sets her world on end. He is intense and self-confident, and he rushes head-first into everything that life has to offer. Yukari isn’t prepared for a guy like George, and now that she’s caught his attention, she isn’t sure how to keep it fixed firmly on her. All of the emotional ups and downs of that first relationship are intensified by George’s vivid personality. She doesn’t stand a chance against him, and I kept wondering if he was just dicking around with her from the moment he met her. I love the art. Ai Yazawa’s delicate, detailed character designs are distinctive and beautiful. The clothing is also stunning, but how can you possibly have a story about fashion designers and have everybody wearing ugly clothing? You can’t, and the clothing take on a life of their own. If you enjoy drama and that pulse-pounding confusion of first love, give this series a shot. If you enjoy comics with beautiful clothes and beautiful characters, give this series a shot. 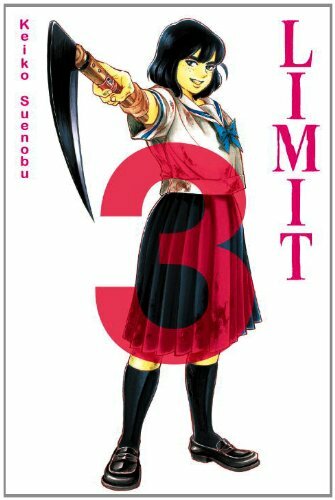 If you are interested in manga and haven’t read any of it yet, this is a good, short (3 volume) title to get you started. It’s still as pretty and as moving as it was 10 years ago. As always, Vertical’s presentation is top notch, with a new translation and a bigger, bolder trim size than the previous version. Mizuki Konno is your typical high school junior at Yanno Prefectural High School. Like many teens her age she is studying hard for college and when she has some down time she likes to fuss over fashion and make-up. While she may not be one of the class elites, Mizuki is fortunate to be on the right side of her class’s idols. But that might not settle well with those who are in a similar academic status but not so lucky with their social lives. Mizuki really isn’t a bad person. However she understands that she is one of the haves. And even if she only has so a strand to hold on to, that’s much more than the introverts or the socially inept. On the day of the field trip, Mizuki’s position with the cool kids cannot be better. But now a good portion of her class are now firmly against her. While this "lower" clique may not be united, their hatred is much stronger than their differences. Unfortunately tragedy strikes in the form of a traffic accident. And now the class is split into two new groups…the living and the dead! Almost the entire class has been wiped out and the five remaining girls are injured and lost in the wilderness. They also hate each other, and in a mix of Lord of the Flies with Heathers these girls begin to assert their wills against each other to try to survive while enacting a new class structure where looks and style is no longer the definition of influence. When it comes to manga lately, I feel like I’ve been living under a rock. I received this review copy, and wasn’t familiar with the title at all. I love the cover, though, with the main protagonist standing defiantly, yet a bit battered, and staring boldly ahead. The cover is very simple and eye-catching, and I immediately sat down to read the book. Keiko Suenobu is also the author of LIFE, which was being released by Tokyopop before they shuttered their offices. 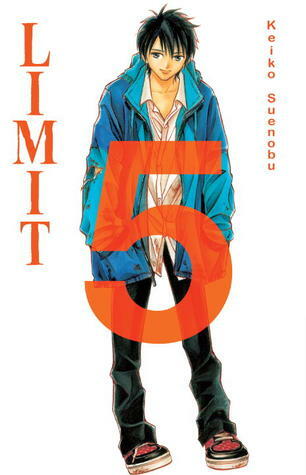 I haven’t read any of that series, but after reading Limit, I am tempted to track it down. 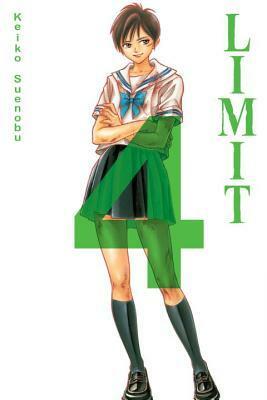 Limit is a Lord of the Flies type story. After their school trip goes horribly wrong and their bus crashes, Kanno and four of her classmates are stranded in the middle of the woods with only their wits to aid in their survival. With their teachers and classmates dead, the five girls must juggle their fear and panic with their feelings for each other. This is a diverse group of personalities, from the bullied Morishige, who has the only weapon and is brimming over with hate and resentment, to Kanno, who was part of the popular clique who made Morishige’s life hell at school. Sakura, the ringleader of the clique, is dead in the bus, and Haru, one of the survivors, isn’t dealing with her best friend’s death very well. This is a powder keg of emotions just ready to blow, and only Kamiya realizes that it’s going to take more than luck to survive until they are rescued. She immediately attempts to use diplomacy and get everyone to work together to ensure their survival, but she’s not having much luck. There is a lot of resentment and so much ill-will to overcome, that things look bleak for our intrepid cast. Limit focuses on the complex relationships the girls have formed over the years. Angry Morishige is delighting in her sudden ascent to the top of the food chain; she’s got the weapon, and she hates everyone enough that she won’t hesitate to use it. She casts everyone else in the pyramid beneath her, leaving Kanno and Haru to battle it out for the bottom rung of the ladder. With the weapon, Morishige also controls the meager food supply the girls have foraged from the wreckage of the bus. After being a bottom-feeder for so long, she is ecstatic to feel some kind of empowerment over the girls who constantly picked on her and made each school day so horrible. I thought that this was a great introduction to the series. I reached the end and wanted more. The relationship dynamics bubble with emotion and kept me engaged in the book from the first page. Kanno isn’t an extremely likable character because she always takes the path of least resistance. She’s a sheep to Sakura’s domineering personality, and once Sakura meets an untimely end, Kanno realizes how meaningless her other relationships truly are. Avoiding confrontation, kissing up to Sakura, and trying to hold a middle ground so she wasn’t bullied didn’t endear her to her classmates, she is learning the hard way. I love Keiko Suenobu’s expressive artwork. I never had to guess how her characters felt as they were maneuvered from one panel to the next. Emotions are deftly rendered here, and the visuals are as compelling as the prose. This is a great start to a series that will appeal to fans of conflict driven stories. I don’t know how the girls are going to reconcile their feelings for each other and still survive all alone in the wilderness, with no food and only a cave for shelter. I am looking forward to the next volume! Waiting On Wednesday is a weekly event, hosted by Jill at Breaking the Spine, that spotlights upcoming releases that we’re eagerly anticipating. Ai Yazawa is one of my favorite manga-ka, and Paradise Kiss is one of my favorite manga, so I am super excited to see that Vertical picked up the license. This series deserves to be back in print, and I’m eager to see Vertical’s always classy presentation of this epically awesome story.